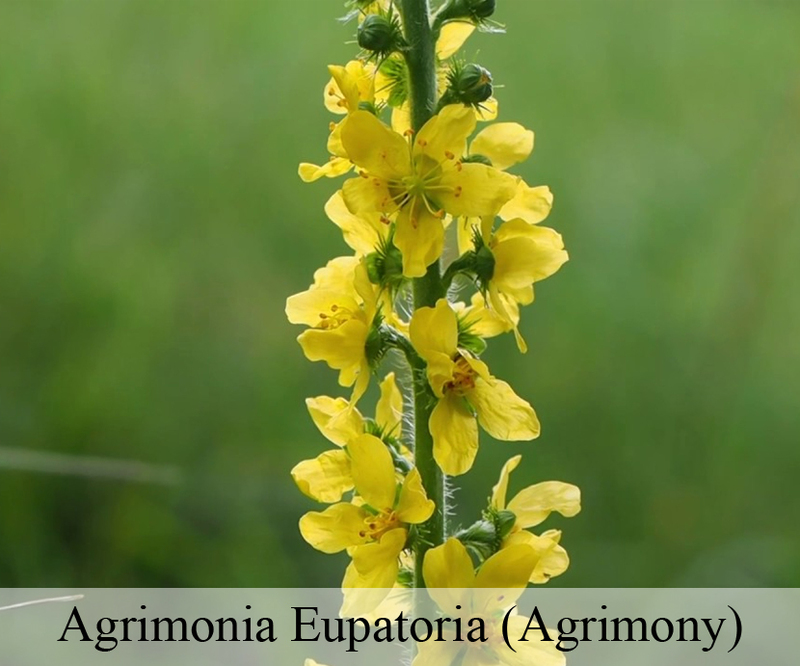 Agrimonia Eupatoria (Agrimony)has a reddish, tapering, not creeping root, with brown stems covered with soft silky hairs ; two or three feet high ; leaves alternate, sessile, interruptedly pinnate. The stipule of the upper leaves large, rounded, dentate, or palmate. The flowers grow at the top of the stem, are yellow, small, and very numerous, one above another in long spikes, after which come rough heads hanging downwards, which will stick to garments or anything that rubs against them. Agrimonia bracteosa E.Mey., nom. nud.